This week was the first week of the, kind of, schedule and it went awesome :) I go to German class 4 days a week and pick up Alex from school and we spend the afternoon together and then Tim comes home and we all do something. Most of the time Alex and I are together we are playing legos and trains.... little boys are so entertained so easily. When Tim comes home it is mostly playing soccer and basketball which is nice while the weather is still okay to be outside. I am trying to enjoy outside as much as I can with them until the winter stir craziness comes. I recently read something my aunt posted about what its like raising boys. I have only been here 2 weeks and everything was completely accurate. For example, it said, "They all love Star Wars." I have never heard about or seen so much Star Wars in my life. I do not share the joy of watching it but it keeps them very happy. Another example was that everything they pick up becomes a gun. Yep. Today Alex was eating a banana and it immediately was put in the air with pow pow sound effects. But hey, at least their imagination runs wild. I am already starting to see the rewards of spending everyday with a 2 year old. The reward of picking him up from Kindergarten and he yells "Hannah!" and runs into my arms. Or when we were baking together today and he said "Mom, I am also a baker!" 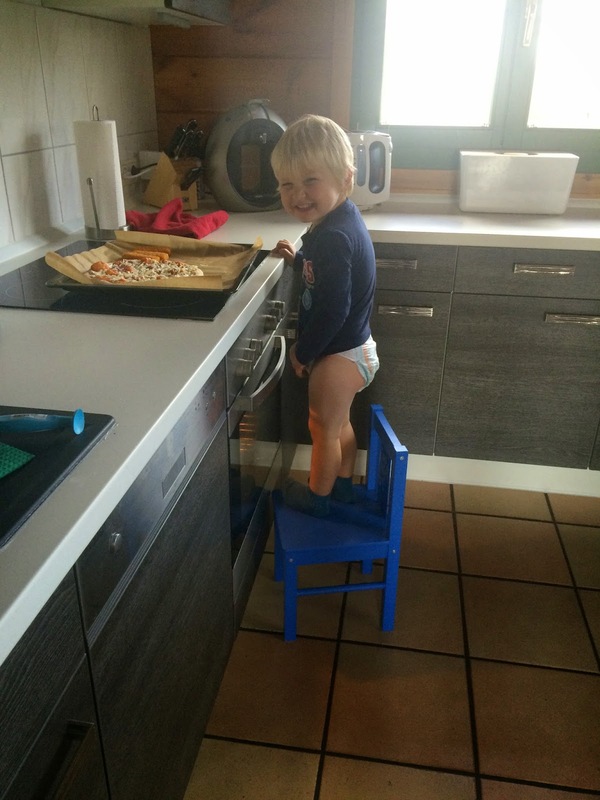 He set up a stool right next to me and wanted to help with everything. We have become good buddies and he is already always calling me into his room to play. I am also starting to respect mothers way more spending everyday with a 2 year old. I didn't know that eating food in quiet and not having to share every other bite could be so peaceful. I also feel as though I should just walk behind him with a dust buster because I feel like I am constantly cleaning up after him. I never thought I would say some things that I do; for example, "Alex, please keep your clothes on at the table." I have found myself in times of weakness where I think, "I can't believe I am doing this." The other day he fell asleep and we were at the mall and it was late in the afternoon and when I wake him up he cries, so I wanted to avoid that. So I bought a strawberry ice cream and had it in my hand while he woke up so I could give it to him right away. You gotta do what you gotta do. 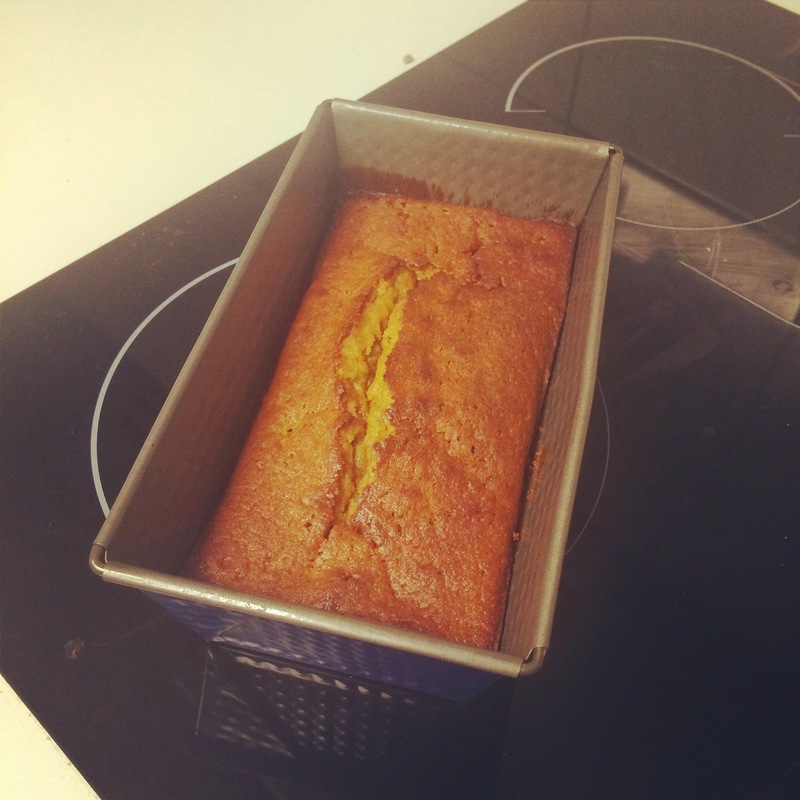 our pumpkin bread we made today, yummm.